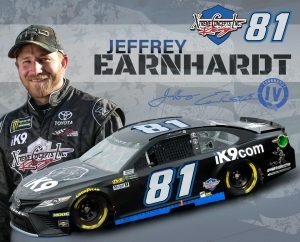 ● The My Bariatric Solutions 300 at Texas Motor Speedway is the sixth event of the 33-race NASCAR Xfinity Series schedule and the third race of the 2019 season for Jeffrey Earnhardt. ● Texas marks the debut of Xtreme Concepts Racing (XCI Racing) and the No. 81 Toyota Supra. Earnhardt will also pilot the No. 81 Xfinity Series entry June 29 at Chicagoland Speedway in Joliet, Illinois, July 5 at Daytona (Fla.) International Speedway, Aug. 16 at Bristol (Tenn.) Motor Speedway and Aug. 31 Darlington (S.C.) Raceway. In addition to the five-race Xfinity Series schedule, XCI Racing will field an entry for Earnhardt in the two Monster Energy NASCAR Cup Series events at Talladega (Ala.) Superspeedway on April 28 and Oct. 13, respectively. ● Earnhardt has made three Xfinity Series starts at Texas with a best finish of 19th on April 4, 2014 in the O’Reilly Auto Parts 300. The 29-year-old driver looks to continue the pace he set in the first two events of the season at Daytona and Atlanta Motor Speedway where he scored finishes of 15th and sixth, respectively. ● Earnhardt’s sixth-place finish at Atlanta was his best Xfinity Series result in 68 career starts, with his previous best being a 12th-place effort on Aug. 22, 2014 in the Food City 300 at Bristol and again on May 2, 2015 in the Winn-Dixie 300 at Talladega. ● Earnhardt’s result at Atlanta was his best career finish across 153 combined starts in the Monster Energy NASCAR Cup Series, Xfinity Series and Gander Outdoors Truck Series. His previous best finish was seventh on Feb. 18, 2011 in the season-opening Truck Series race at Daytona. ● Earnhardt kicked off the 2019 season with a 15th-place result at Daytona after starting from the second position and leading a career-high 29 laps. He followed that up just one week later with a career-best sixth-place finish at Atlanta. ● In the season-opening Xfinity Series race at Daytona, Earnhardt qualified second and led the first 29 laps. Earnhardt’s second-place qualifying effort earned him his best starting spot in 153 career starts across the Monster Energy NASCAR Cup Series, Xfinity Series and Gander Outdoors Truck Series. And Earnhardt’s 29 laps led were more than he had led in 15 previous races at Daytona in the NASCAR Cup, Xfinity and Gander Outdoors Truck Series. ● Earnhardt is batting .1000 in earning stage points in 2019. He earned stage points for the first time in his career at Daytona when he finished fourth in the first stage and fifth in the second stage to collect a total of 13 bonus points. He maintained his front-running ways in his most recent race at Atlanta, finishing seventh in the first stage and fifth in the second stage to tally 10 bonus points. ● Trivia Question: Who was the first driver to put the new Toyota Supra into the lead of an Xfinity Series race? Answer: Jeffrey Earnhardt at Daytona on Feb. 16, 2019. What are the expecations for XCI Racing heading into the team’s debut at Texas? You’ve had a few weeks off, but you’ve been at the track observing and putting in a lot of work at the shop to prepare for this race. How are you feeling about the My Bariatric Solutions 300 at Texas? ● Xtreme Concepts Inc., is a worldwide leader in providing turnkey security solutions, training and technology integration to U.S. government, military and commercial clients on a global scale. Xtreme Concepts’ mission is to provide elite military units with a hyper-realistic environment, allowing them to train to their full mission profile with a facility that is able to replicate an unmatched variety of real-world scenarios. This Alabama-based facility is a world-class training site spanning more than 1,500 acres with 3 million square-feet of indoor training space, 31 buildings, 3.5 miles of internal roadways, and more areas equipped for training. Experience is the hallmark and strength of Xtreme Concepts, best exemplified by its motto: “Who we are, Where we’ve been and What we’ve done.” With access to the National Mission Force (NMF) and the Special Missions Units (SMU) of the U.S. military, Xtreme Concepts is the benchmark in the multi-faceted security arena. Xtreme Concepts’ stable of experts has served honorably with these elite units for more than a decade, and because its staff maintains deep ties to the NMF and SMU, clients benefit from immediate access to Xtreme Concepts’ collective experience. ● KUIU is a high-performance hunting gear company known for using cutting-edge innovation to build gear with uncompromised quality and performance. They want no limits on the performance of our Hunting Equipment, and knew they couldn’t make equipment this innovative in a traditional retail model. ● Lightforce is an industry leader in driving lights, portable lights, utility lights, LED upgrades and a full array of accessories and spares. ● Benelli distinguishes itself from the competition by building ultra-reliability and quality into every gun based on superior technology and craftsmanship. Benelli’s Inertia Driven® operating system incorporates total efficiency with complete reliability—best summed up as “Simply Perfect.” The Inertia Driven® system, combined with features like ComforTech®, AirTouch®, SteadyGrip™, GripTight®, and Crio® System, offers shooters and hunters an edge that allows them to hunt longer, harder, and more successfully. Benelli has total confidence in its products and backs every gun with an industry-leading 10-year warranty. ● Flexfit is one of the world’s largest vendors of custom, private-label headwear and is the official team hat of XCI Racing. Flexfit manufactures hats for some of the most reputable brands in the sports, streetwear, action sports, golf and outdoor markets while also offering a wide selection of the best wholesale blank caps. ● Rex Specs are protective eyewear for working and active dogs. Designed with a single spherical lens, the goggle provides a comfortable fit and ample field of view. The lenses block 99.9% of UV rays, are impact resistant and interchangeable. A dynamic strap system allows for full jaw motion while still providing a secure and stable fit. While many Rex Specs customers purchase goggles for medical needs, they have proven highly functional for prevention of eye injuries in military, police, SAR, hunting, and active dogs worldwide. Whether your dog is deployed in dust storms, works around helicopter rotor wash, flushes or retrieves birds, sits in your sidecar or chases you on a mountain bike, Rex Specs offer the best eye protection for your 4 legged friend. « Jeffrey Earnhardt Opens Up to Uncle Dale Jr.